Through donations, partnerships and the way we do business, Central Co-op takes action to help make our cities and our regional food system vibrant, sustainable, and equitable. When our communities thrive, our Co-op and our owners thrive! 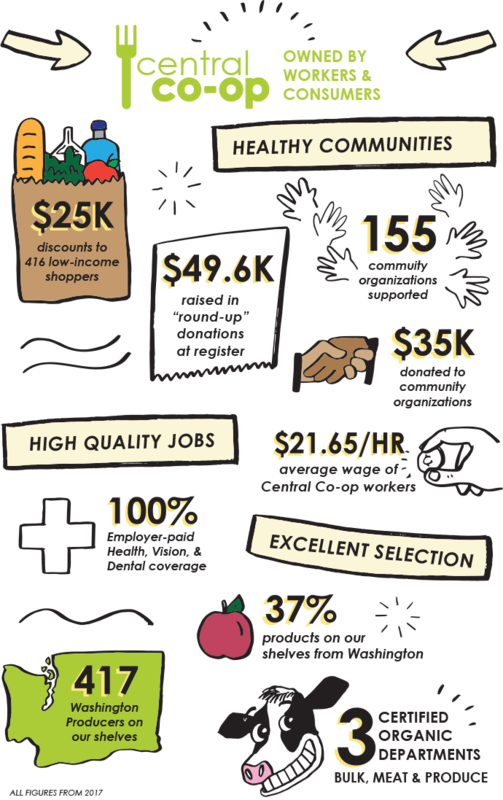 Through our focus on sourcing food from Washington producers and providing good wages and benefits to our workers, we contribute to a strong local economy. Through donations and our Central Community Partners program, we strategically support organizations that share our values. And by facilitating donations from our shoppers through our Round-Up program, we improve food access to our neighbors most in need. Each year, Central Co-op chooses several Central Community Partners, and through financial contributions and outreach, we support their work to sustain, nourish, and empower healthy communities in and around Seattle and Tacoma. Our Partners are local, small-to mid-size organizations making a big impact in their communities, who may find non-traditional and smaller funding sources especially beneficial. We engage these partnerships to uphold our values; promote strong healthy communities; build just and sustainable local food systems; and feed resilient and regenerative ecosystems. Partnership is a two-way relationship! Partners connect to the Co-op online, share key Co-op information with their networks, and provide opportunity for Central Co-op to do outreach at Partner events when appropriate. Green Plate Special (pictured above): Green Plate Special’s mission is to inspire and empower youth to experience food in new ways through gardening, cooking, and eating together. 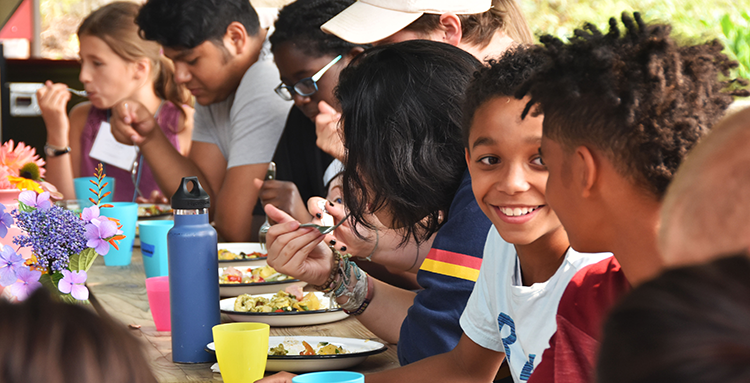 Our hands-on programs for ages 9-14 explore nutrition, science, and the environment in both the garden and the kitchen. Youth take part in all aspects of our food-growing garden, seed-to-table harvest. Cooking projects introduce knife skills and kitchen safety, as well as culturally-responsive recipes and cooking techniques that inspire youth to try new foods and experience different ways of preparing them. We offer after-school and in-class curriculum-focused opportunities: field trips, community partnerships, and spring and summer camps. See their Winter 2019 Newsletter. City Fruit: Seattle has one of the most extensive networks of urban fruit trees in the country. City Fruit puts these trees to their best and fullest use so that everyone in our community shares in the value of fruit. Our Harvest program is our keystone program - each year, we harvest tens of thousands of pounds of fruit, sharing the vast majority of it with more than 50 food banks and community partners, across the city. St. Leo Food Connection: The St. Leo Food Connection has been fighting hunger in Pierce County for over 36 years. Our brick-and-mortar location, the St. Leo Food Bank, sees an average of 300 families every day, five days per week. We also operate the Springbrook Mobile Food Bank, which serves 200 households in the Springbrook neighborhood of Lakewood every Saturday. Finally, we have Children's Programs that work with Tacoma, Lakewood, and Puyallup schools to ensure that thousands of children have the food they need on weekends, after-school, during holiday breaks, and over the summer. The Center for Food Preservation Arts: The Center for Food Preservation Arts was founded in 2015 with a mission to work locally to re-center the food system by addressing food insecurity and waste at the grassroots level; growing community through education and shared food preservation activities. Community workshops and canning events include everything from basic kitchen skills, to recipes and techniques for preserving seasonal produce, to sharing homemade gifts from the garden and kitchen. CFPA's flagship program, Preservin' for the Hungry, transforms produce that would otherwise be wasted into healthful food products for distribution to those in need. With a commitment to Access, Education, Support, and Community, CFPA provides more than just what you can fit in a jar. 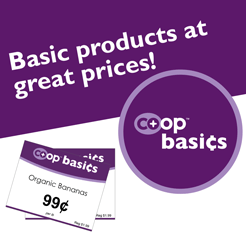 Central Co-op allows our shoppers to round up their grocery bill to the nearest dollar or more to raise money for local food banks. This money is placed on Central Co-op gift cards for the food banks to purchase whatever is most useful for their programs. In 2016, our shoppers donated $15,064 through rounding up at check-out. In 2017 they donated an amazing $49,588! That's more than triple the previous year! In addition to our food bank partners, we also did a special Pride Month"Round Up for Love" campaign (benefiting Gay City and Tacoma Rainbow Center) and did special round-ups for hurricane victims in Texas (Feeding Texas) and $12,600 for co-op reconstruction in Puerto Rico through the Cooperative Development Foundation. We're so proud to have such generous people as our shoppers. 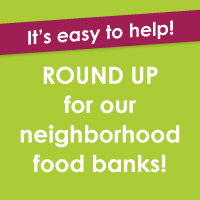 Let's keep Rounding Up for our neighbors and community! Serve Seattle and Tacoma's communities. Provide access to healthy food. Promote food sovereignty, food security and food justice. Promote access to land for holistic urban agriculture and the local food economy.